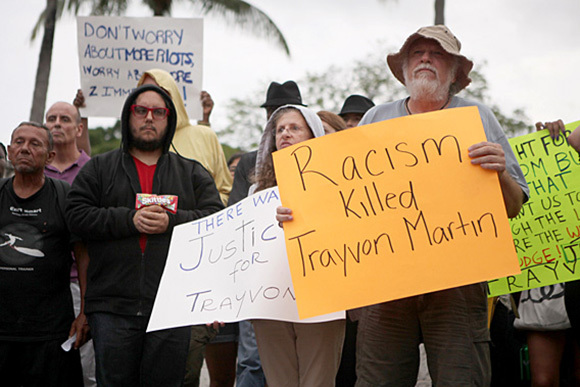 Last Saturday, a jury declared George Zimmerman not guilty of the murder of Trayvon Martin. 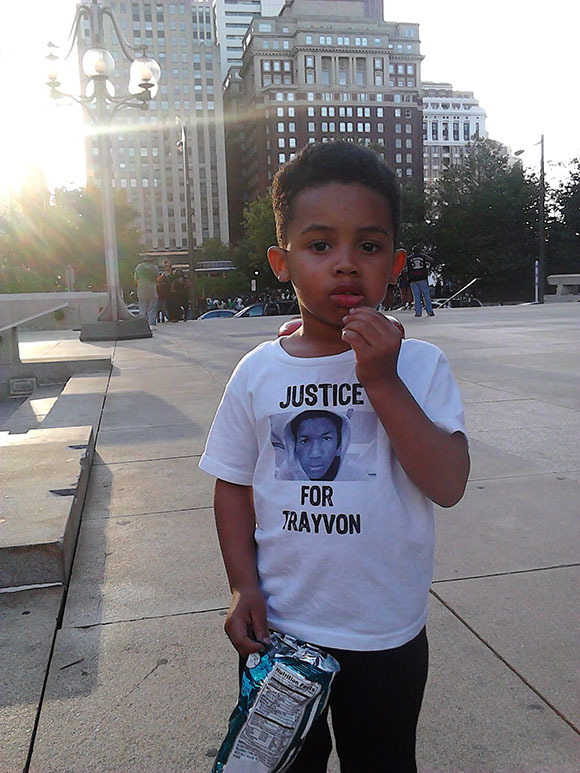 Thousands of people in cities across the country reacted in outrage as the U.S. legal system confirmed that a Black boy’s life is worth little in the eyes of the law, and that Trayvon Martin had no right to defend himself against a racist vigilante. 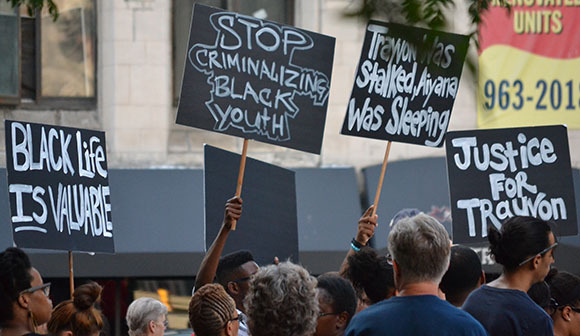 We’ve collected images from a few of the many events held over the past couple of days to protest the decision and express solidarity with Trayvon. 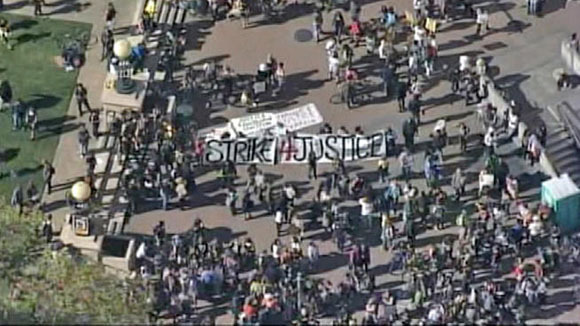 We’ll continue to update this page as more reports and images are gathered. 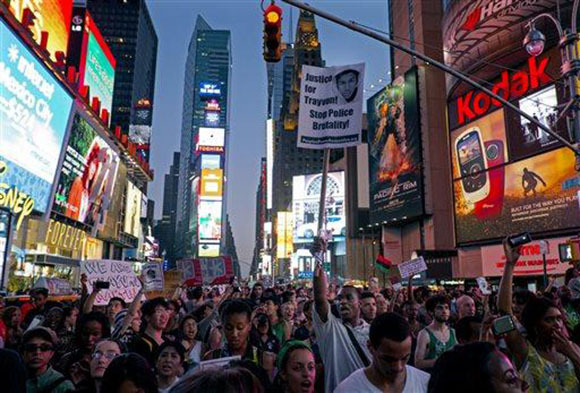 Following the announcement of the not guilty verdict, President Obama urged “calm reflection” in response. 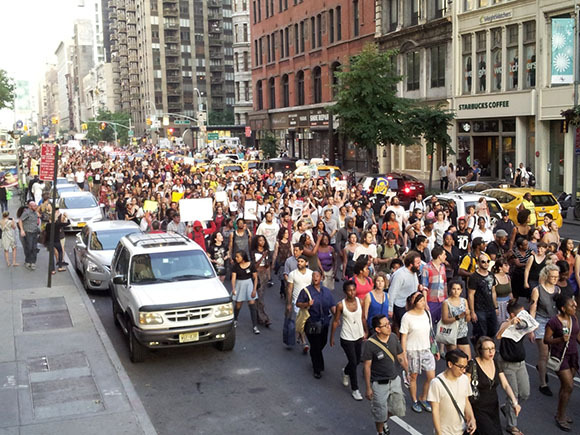 But thousands of people at rallies in New York and dozens of other cities understand that calm reflection is not going to end the system of institutionalized violence and racism. 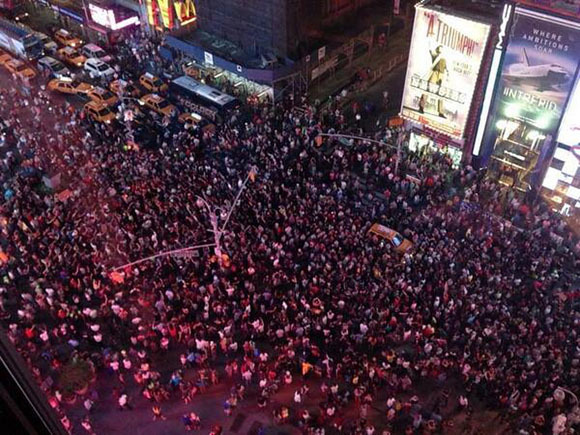 Protestors flooded Times Square, blocking off traffic. 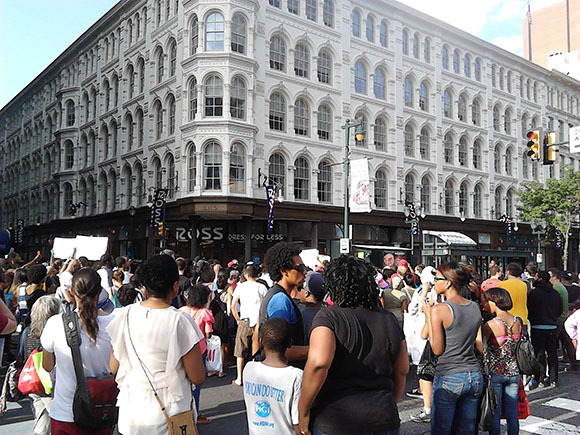 Close to 1,000 people marched to the Liberty Bell in Philadelphia. 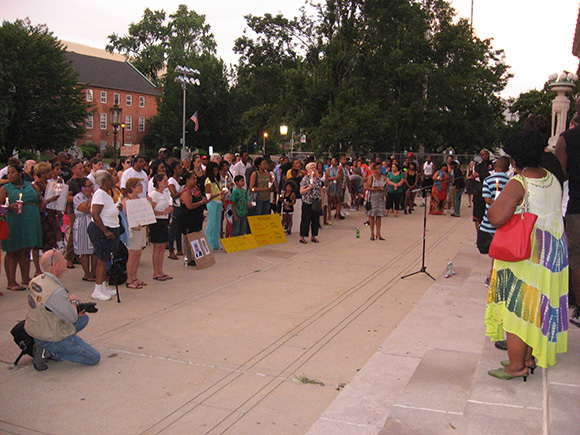 A smaller crowd had also gathered the night before near city hall immediately following the announcement of the verdict. 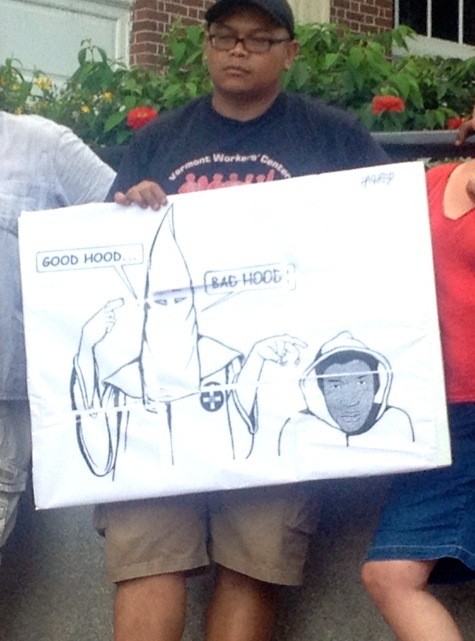 Trayvon Martin was also eating a snack just before he was murdered. 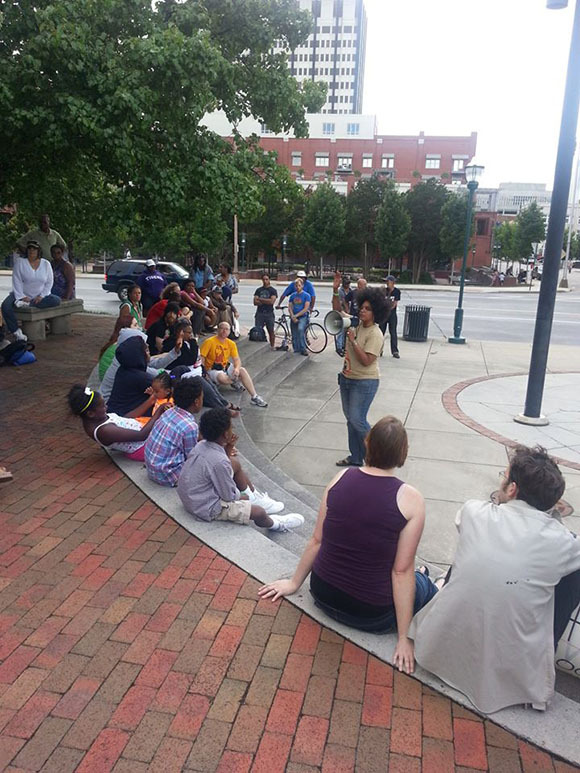 There were many children present at the events in Philadelphia and elsewhere, and some of them even led chants or spoke at the rallies. Frank Rizzo, former police commissioner and mayor of Philadelphia, was famous for his blatant and often violent racism, including raids against the Black Panthers. 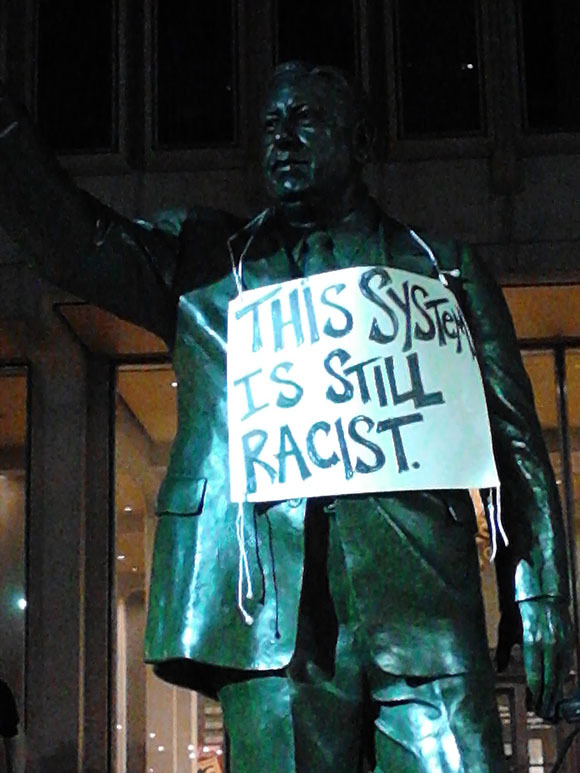 Organizers decorated the statue to call attention to the history of state sanctioned violence against Black and Brown people, of which Trayvon Martin’s murder is just one of the more recent examples. 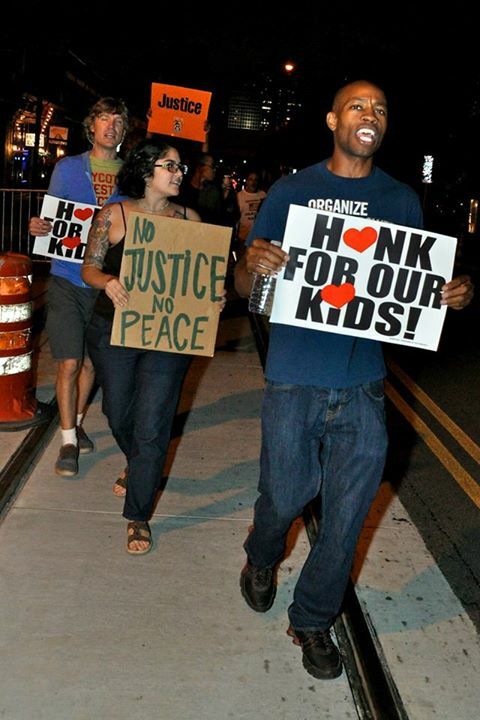 A march was organized in Atlanta the night of the verdict and lasted from midnight until around 1:30. 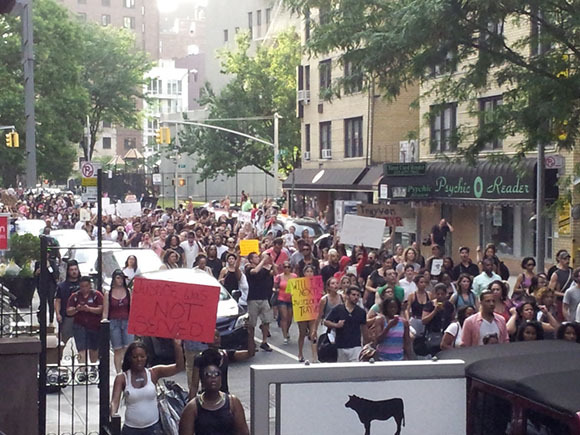 Marchers were encouraged by enthusiastic honking from passing cars. 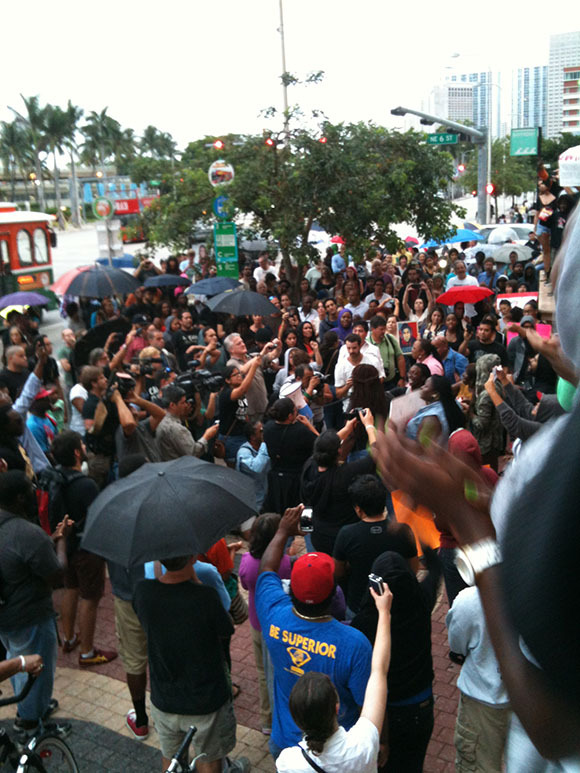 Two to three hundred people gathered for a protest in Miami. 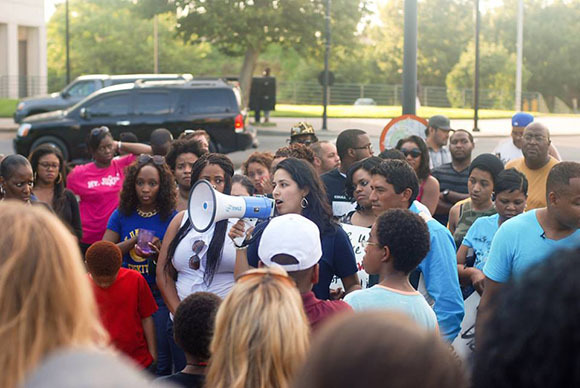 The Miami protests were partly organized by Dream activists and other immigrant led groups. 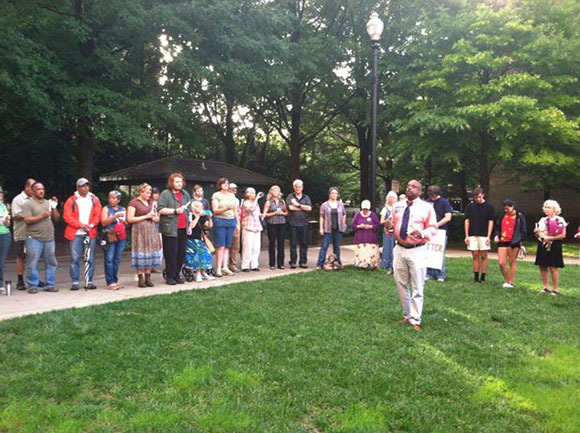 Community members in Knoxville, TN gathered at a vigil to honor Trayvon’s life and call attention to the desperate need for racial justice in the U.S.
A common feature of the events organized around Trayvon Martin’s murder and Zimmerman’s trial have been the diversity of the crowds, with not just Black people but many white and Latino and other people uniting to demand racial justice. 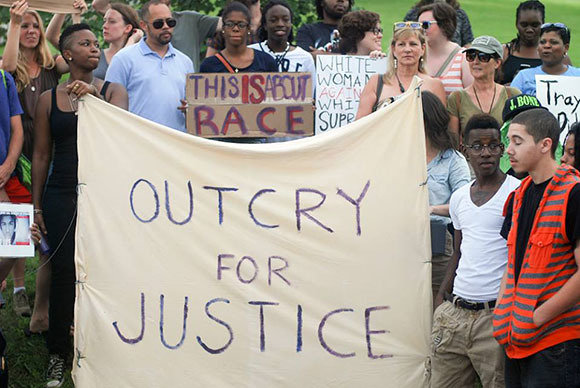 Zimmerman’s defense lawyers, and even members of the prosecution team, tried to claim this case was not about racism, but participants in these events understood that ‘racism’ is exactly the right name for the system that allows unarmed Black men to be stalked and murdered in their own neighborhoods and declares the murderer innocent. 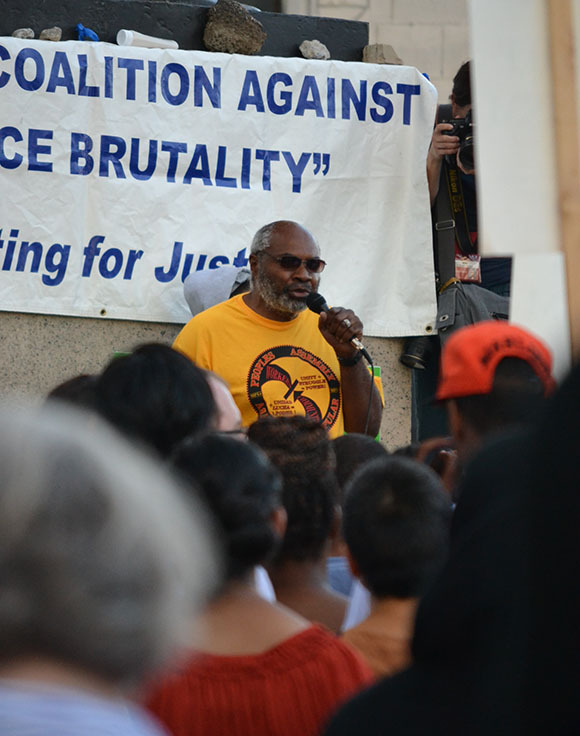 Large protests were held in Oakland, a city with an especially strong history of racial violence. 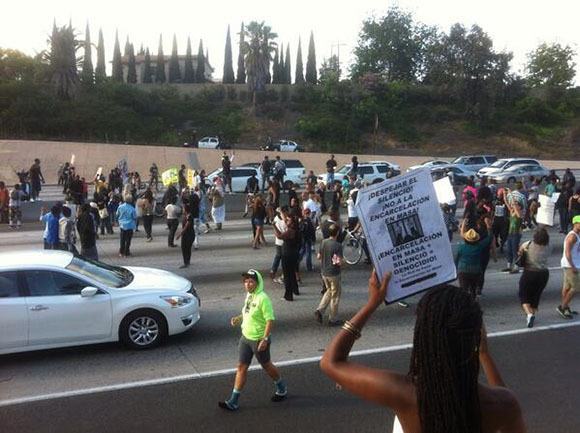 Protestors in Los Angeles shut down Interstate 10 for some time during their protest. 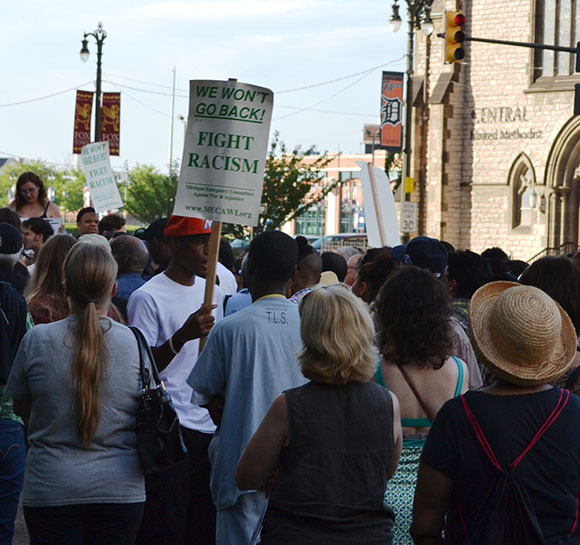 Over 300 people gathered at the event in Detroit, a city all too familiar with state sanctioned violence against oppressed communities. A study by Operation Ghetto Storm reports that, on average, a Black person is killed by police once every 28 hours. 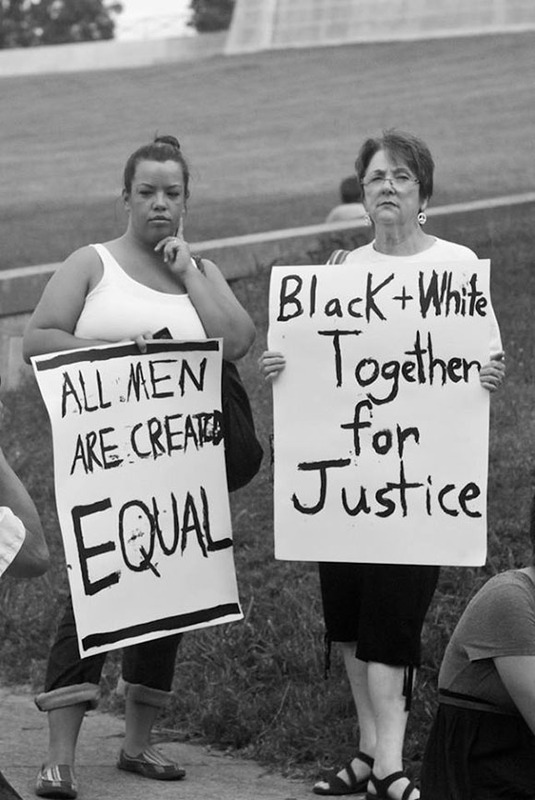 Trayvon Martin has been the most visible example but far from an isolated one. 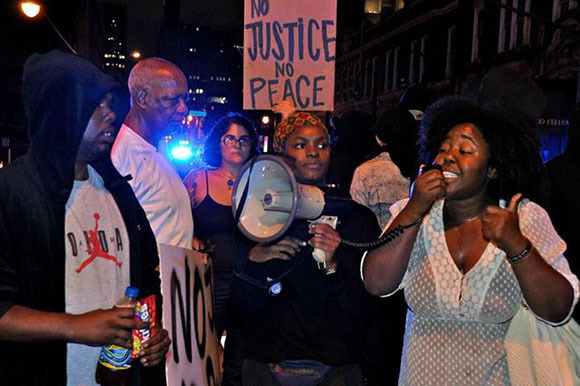 Many of the speakers at the event in Detroit were people who had also had family members killed by the police, including seven-year-old Aiyana Stanley Jones, who was killed by Detroit Police being filmed for a reality TV show. 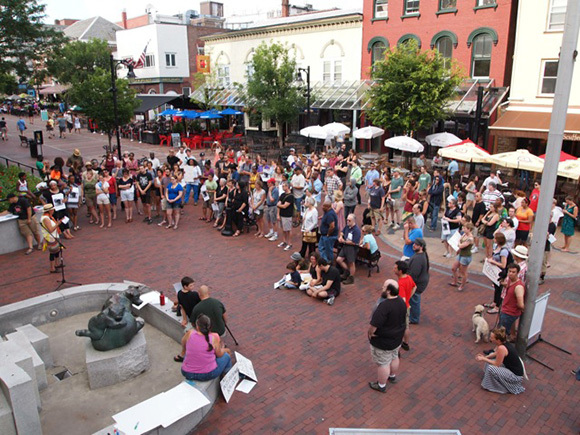 Around 200 people gathered in Burlington, VT.
At a vigil in Springfield, MA, attendees were asked to bring Skittles, which were collected at the event and will be sent to DC to remind the government that people want justice. Great photo essay! Prosecution case was so weak and unprepared that Zimmerman’s lawyer drove a Mack truck through it.